It was the 1987 NCAA Regional Finals. We were playing Louisiana State University, and with less than 8 minutes to go, we were down by 8 points. For the first time in Indiana’s run to the National Championship, you could feel a little doubt that we would dig ourselves out of this particular hole. During a timeout, Coach Bob Knight didn’t make any major adjustments. He reminded the team to do what we had been working on since the beginning of the season. We just had to do it with more accuracy and precision during the final minutes at the game. Before they left the huddle, Coach looked the players in the eye and said, “Get me within two baskets with two minutes to go, and I will win this game for us. Now, you may think that’s an arrogant statement. I don’t. I find it confident. Spoiler alert: As you’ll read in my book, “Free Throws for Financial Professionals,” Coach delivered on his promise. You can deliver on your promises, too. Coach Knight’s statement demonstrates the leadership that all of our clients want from us. That statement is exactly what every prospective client wants to hear from their planning: Get me to the finish line and show me how to win. Professor William F. Sharpe indicated that retirement income planning was the hardest problem he ever worked on during his career. I would argue that it’s the most complex problem that your clients will ask you to solve for them. That’s why you need to look at it differently. Just like Coach Knight said in that timeout, you don’t have to do a bunch of new or different things. You just have to perform with accuracy and precision. 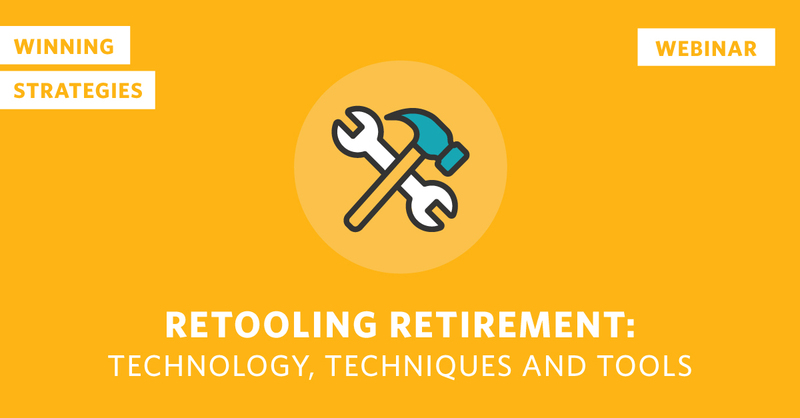 You have products and tools available to shift a multitude of risks in retirement. You just have to do the fundamentals better. And, no matter what happens, you have to look your clients in the eyes and help them win. Get your client in a position to win with tools and products that have been around for decades. Think about using them differently to maximize success. Without a doubt, if you want to grow your client base, referrals are the most effective method. The trust you have built with your existing clients and centers of influence provides an opportunity to attract new clients to your planning firm. As you look toward the next year and growing your business, you need a referral strategy that separates you from the competition. Providing value is the best way to consistently do so. From the book “The Go Giver” by Bob Burg and John David Mann, there are five essential qualities that constantly deliver value to your clients. In turn, your clients can easily refer people to you in the future. Excellence: In my new book, “Free Throws for Financial Professionals,” I write about how Coach Knight would prepare. He asked the student managers to take copious statistics and pair those numbers with video of each practice. He not only knew the numbers, but he would ask why the numbers looked the way they did. He could match behavior with results by comparing the statistics with the actual video. From there, he sought to increase the performance of the team. Consistency: During my four years as a student manager, we prepared for games in a similar fashion. Specifically, game days looked exactly the same. We ate our pre-game meal at the same time, relative to the tip-off time. We ate the same meal. The team completed a final walk-through of out-of-bounds plays that were to be used and defended against that game. And, we typically had a short presentation by Coach to review the game’s goals. This consistency provided a calmness for the student-athletes before critical games. It’s the same calmness your clients need prior to making a major life decision about their retirement. Attention: One of my favorite encounters as a student manager was with Duke basketball Coach Mike Krzyzewski (better known as Coach K) during the 1984 Olympic Trials. I drove him from Indianapolis to Bloomington for the week of basketball trials with amateur players. During the week, he saw me in a hallway and not only remembered my name but remembered to ask me about a test I had taken that very morning. He paid special attention to me as a person because he listened actively the weekend prior. We can all afford to know more about our clients and their dreams through questions and active listening. Empathy: One of the greatest examples of empathy in our industry is displayed when we deliver a death claim. One of our advisors takes the extra chair out of the office prior to meeting with a recently widowed client. Understanding how a client feels and showing that you care can separate you from the rest of the competition. If you can incorporate these five activities into your daily routine, you make yourself more referable than ever before. Your competition will become irrelevant because you have delivered more value to your clients and centers of influence. Think about how you can provide value next year. When you give value, referrals and business will likely follow. Make plans to institute the elements of value into your practice. Face it. These days, your phone changes faster than you do. Continuous improvement is the name of the game. If you’re standing still, you might as well be walking backward. Special guest Scott Fergusson joins us to talk all things innovation and how you can easily upgrade your business. Not just to keep up with the industry, but to get ahead of your competition. Mike McGlothlin is a team leader, retirement industry activist and disciple of Indiana Hoosier basketball. In addition to being EVP of retirement at Ash Brokerage, he is a sought-after writer and speaker. His web series, “Winning Strategies,” provides insight and motivation for financial advisors in many forms – blogs, books, videos, podcasts and more. His latest book, “Free Throw for Financial Professionals,” is available now at www.freethrowsforpros.com. As you continue to explore ideas for growth in your business next year and beyond, I think it’s critically important to look at where your clients are headed. You need to understand the future of your business and the demographics that drive it. While many planners want to focus on wealth management and accumulation, the majority of Americans today are below the high-net-worth classification. More fall into the categories of middle-America, affluent or mass-affluent. These Americans need to consider how guaranteed income will make a significant difference in their retirement income and plans for longevity. We are finding that most retirement portfolios increase their probability for success by adding guaranteed income. Please keep in mind that guaranteed income is not exclusive to annuity sales. Guaranteed income includes Social Security, defined benefit pension payments, and commercial annuities. If you would like to see how your average client’s retirement income can be positively affected by guaranteed income, I encourage you to try a demo of JourneyGuide, an innovative tool designed to help advisors and clients change they way they think and act in retirement. When you think about 2019 and beyond, take a few minutes to think about your business in the next three to five years – even the next 10 years. The shifts in the American population will create opportunities for the next 20 years. The future lies in income, not accumulation. That’s not to say you don’t need to accumulate enough assets to provide income. However, the planners who can address the complex needs of most Americans through tax-efficient, inflation-adjusted income will separate themselves from the rest of the wealth managers in America. Differentiation doesn’t happen by chance. People don’t wake up and start thinking that they need to call their financial advisor to talk about guaranteed income – they probably don’t know the sources of guaranteed income, let alone how it can benefit them. We have to change the way we market and discuss guaranteed income options with our clients and prospective clients. It has to be planned. So, take the time to clarify your message on income planning. Make sure you are the trusted source to have this important discussion with your clients. Wayne Gretzky was quoted as saying he skated to where the puck was going. The American demographics are changing before our eyes. You need to adjust your services and clarify your message to meet them where they’re heading. Just when you thought I couldn’t write anymore basketball-related financial planning tips … I’m releasing my third book, “Free Throws for Financial Professionals.” Kidding aside, this book really gets to the heart of everything I believe in. It centers around 10 principles I learned as a student manager at Indiana University under legendary Coach Bob Knight – principles I still apply to my work and life today. Free throws are in the title because they’re a vital part of a basketball game. Championships are won and lost at the free throw line. At the end of the game, when every second and every point matters, you have to be able to execute. It requires repetition, attention to detail and technique. I like free throws because you don’t have to be athletic to be a good free throw shooter. It helps, but it’s not a requirement. Instead, hard work, concentration and calmness will help you sink the shot. One of the greatest strengths Coach Knight possessed was his ability to plan for an opponent. I’ve always said that Coach wasn’t as much of a basketball genius as he was just extremely prepared for games. He knew his team better than anyone else – their strengths and weaknesses. He also understood how to use those strengths against the other team. You should do the exact same thing. Now, don’t misunderstand me – your clients are not your opponents. You should always be working on the same side of the table. However, you need to plan for every meeting. Every interaction. You have to know the game inside and out. What are the key performance indicators for you and your staff – sales and administrative? How can you duplicate those activities more often next year? Which activities need to be delegated to another person so you can focus on the key performance indicators for your business? Can you become more effective at your key activities? Practice and plan for success. Read my new book, “Free Throws for Financial Professionals,” to learn how I measured success and set activity goals that nearly assured my sales. You can order or download a copy of the book at www.freethrowsforpros.com. It’s hard to believe it’s time to plan for next year already. You might think it’s early, but completing the planning process now, at the start of the fourth quarter, gives you an advantage in a couple of ways. First, you can start changing your habits so you hit the ground running on Jan. 1. And, when you have more time to think about your business instead of work in your business, you tend to make better decisions. Your competition is only growing. When prospective clients search Google for financial planning, they will find millions of wealth managers and online tools to help them make more informed decisions. Many of those resources are very inexpensive and easily accessible via technology. Consumers don’t wake up needing financial planning services. They have their sights on other tangible purchases and plan for retirement less than they plan for vacations. 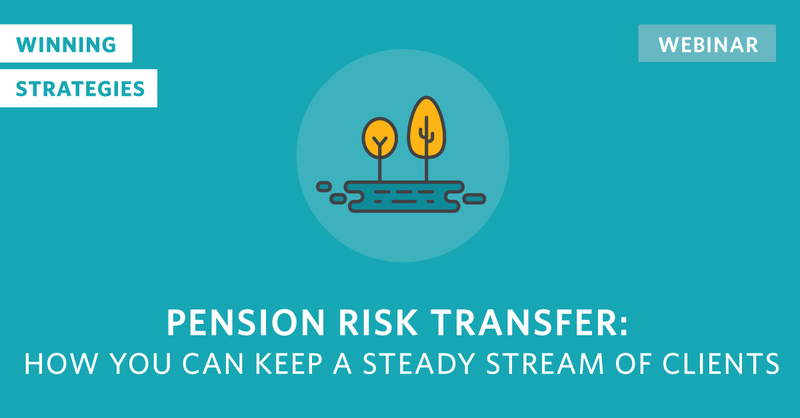 Our industry works on the most complex problems for our clients: retirement and longevity. There are so many potential solutions and changes during a 20 to 30-year retirement that clients become frustrated with the planning process. It doesn’t help that it’s very hard to do business in the insurance industry as a whole, due to regulations and paperwork. No matter the challenge, acquiring new clients is the single most costly activity in your business. Which is why you should focus on ways to make it better. One of the more efficient ways to attract clients is to look deeper within their family – they have a higher trust factor because they know someone working with you. Marketing to family members might provide a better return than investing in mail campaigns, seminars or referral materials. Remember, billions of dollars will transfer from one generation to next over the next two decades, so you’ll want to follow those assets. Beneficiary reviews on all life insurance, annuities and Individual Retirement Accounts (IRAs). There are so many horror stories around the lack of a proper beneficiary designation that causes family strife, unintended tax consequences and funds going where they are not supposed to go. Harvest the cost basis on nonqualified annuities. While the tax law reduced the tax brackets, passing an annuity with embedded gains to the next generation forces the beneficiary to pay higher taxes at time of receipt. There are mechanisms to obtain the cost basis first and the gain second, which is completely opposite of most death claims in annuities. Pass along family values with family wealth. Establish an income stream for the life of grandchildren that includes handwritten notes from the grandparents at special birthdays or events. You can gain a deeper understanding of the family dynamics by having this conversation. So, if you want to increase your clients next year – and everybody does – consider looking within your existing base. Develop a specific marketing strategy to consistently and thematically talk with your clients about adding value for their family. When you deliver value, relationships tend to follow – like lightning and thunder. Look inward first. Your existing clients can provide the key to future growth through their children and grandchildren. Develop specific marketing strategies around the value you can bring to their entire family. Mike McGlothlin is a team leader, retirement industry activist and disciple of Indiana Hoosier basketball. In addition to being EVP of retirement at Ash Brokerage, he is a sought-after writer and speaker. His web series, “Winning Strategies,” provides insight and motivation for financial advisors in many forms – blogs, books, videos, podcasts and more. His latest book, “Free Throw for Financial Professionals,” will be available in October.